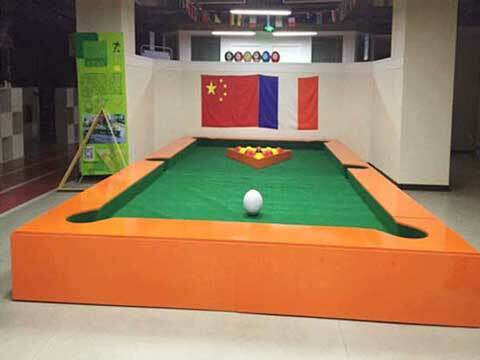 Snookball table for sale for Australia customer from Beston amusement equipment has three types in Stock. The grand type, popular type and the inflatable type snookball tables. About the snookball set, there are three parts for you, snookball tables, snookball balls and triangle. 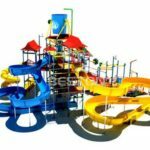 Snookball is a new and popular amusement rides for people who want to start new and different business. Size of popular type snookball table is 6.6m *3.6m* 0.2m. This is one of the best-selling type, it is cheaper than the grand type snookball tables and the material is a little difference. Size of grand type snookball tables is 6.6m *3.6m* 0.4m. Grand snookball table is higher than the popular type snookball table, grand snookball give players more real playing experiences. It is more interesting than the popular type snookballs. Inflatable snookball tables are made of inflatables. Grand and popular snookball table are made of quality woods. The price of inflatable snookball are cheaper and portable to carry for people than the grand and popular type snookballs. They are much light to carry and could be carry to anywhere you want. 3 types snookball tables for customers to choose. We have 5 patents on these snookball table set. Cheap but with high experience degree. Small volume provide more convenience for people. Size and color of the ball and tables could be customized. Suitable for commercial and home (backyard) use. We offer wholesale prices for our old and new customers in Australia. We recruit agents in different countries. We provide free playing and installation videos for our customers. The snookball sets you will buy combines with snooker which is a popular game that is played on a billiard table. For this new sport rides, people will need to play on a large table-like structure which could be placed on the ground and any other flat places. The snookball table sets are more interactive for people. Unlike the snooker, people will actually stand on the snookball table and use their foot as the snooker sticks. Player could kicked the ball into the hole by their foot directly. In additional, snookball balls for this game is much more bigger than the snooker balls.